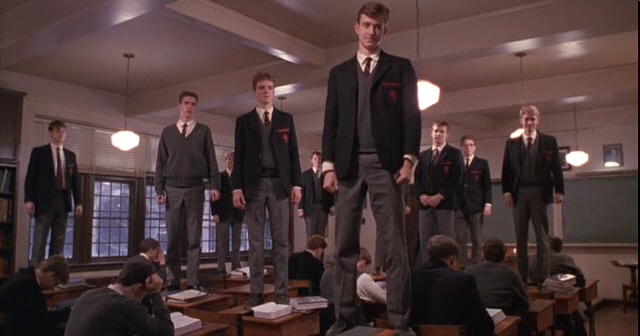 In the late 80’s Robin Williams starred in a brilliant movie titled, Dead Poets Society. The movie was almost solely responsible for reviving the phrase Carpe Diem (Seize the Day). 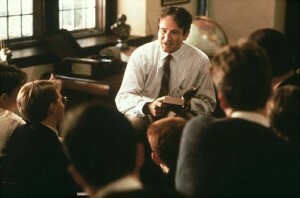 In a brilliant scene early in the movie, Williams, portraying teacher John Keating, takes his class into the hallway for a brief lesson on the importance of life. They’re not that different from you, are they? Same haircuts. Full of hormones, just like you. Invincible, just like you feel. The world is their oyster. They believe they’re destined for great things, just like many of you, their eyes are full of hope, just like you. Did they wait until it was too late to make from their lives even one iota of what they were capable? Because, you see gentlemen, these boys are now fertilizing daffodils. But if you listen real close, you can hear them whisper their legacy to you. Go on, lean in. Listen, you hear it? – – Carpe – – hear it? – – Carpe, carpe diem, seize the day boys, make your lives extraordinary. That scene itself is enough to make a person drop everything and go climb a mountain. It is the best of feel-good moments. And here, my friends, is where we need to have our heads clear on one very important thing. It is just one moment. You may have started down a new path full of excitement, ready to make things happen. Then, some months or years into it, you find that everything has just gone…sideways. Maybe it is your health. Your aging parents. Your adult children. A situation at work. We will need more than just one moment to sustain us. As we stand in our own hallway, looking at an empty trophy case were our dreams should be, a pithy one-liner from a desktop calendar just won’t make everything better. The best movie in the world will only last us a few hours. In my 20’s, my orientation was all about filling my trophy case with a good job and an important title. Sure, I was able to put my share of achievements in the case, but as I moved through my 30’s, God upended all that. It was my personal Great Purge. In my early 40’s I regained my composure. I’m realizing now that my motivation isn’t coming from what I think I can become, or from a fear of not reaching my potential. My motivation now comes from the contributions I can make, using the gifts I have been given, for the people God sends me. It is not so much an all-out push to seize the day as it is an intentional seeking of living well inside my design. I am completely free to be who I am which frees me from acting like someone I’m not. No more striving. The Great Purge, as miserable as it was, gave me far more resolution than I could have ever gained through a book or some “developmental assignment” at work. What better thing can you do for your career, your sanity and for your family than to live from the design you were given, walking step by step with the One who designed you?